Beaver-created ponds are a common feature on many tracts that Fountains Land sells. Recreational land buyers often desire the presence of a small pond (or brook) for a variety of reasons – wildlife habitat, a place to paddle, fishing opportunity, or simply to enjoy the open water aesthetics. Ponds created by beavers are often shallow and have a high degree of organic matter and, therefore, are rarely suitable for swimming. Beaver pond or “flowages” as they’re often called can vary in size from a quarter acre to several acres, depending how long the beavers have occupied the area. Beavers create habitat that suits their needs for shelter by chewing down trees, damming a small brook, and building a partially submerged lodge of sticks. I doing so, they indirectly create habitat for an amazing host of other creatures as well – from insects and amphibians to birds and mammals. Water-dependent plants also join the party. The cleared areas where beavers chew down trees creates openings for trees, grasses and shrubs to regenerate. This new, young habitat is beneficial to even more wildlife species. While beavers are Mother Nature’s forest engineers and providers of habitat that benefits other creatures, including humans, they can also be an absolute nuisance. Beavers will often choose a culvert under a road to build a dam and raise water levels. Unfortunately, in these cases, the water backing up behind the dam often breaches the road. With one heavy rainstorm, the force of all that water can wash the road out entirely. Beavers not only build with wood, they eat it as well. They have special bacteria in their stomachs to break down cellulose. However, when beavers chew down too many trees, it can become a nuisance to the landowner. It can also be costly if beavers are dining on future sawlogs that the landowner intends to harvest one day. Whenever possible, allow beaver dam-building activities to occur unimpeded in order to maintain natural water flow and forest-disturbance patterns that maintain a high level of habitat diversity beneficial to a wide variety of wildlife. To control flooding by beavers, determine the maximum acreage of flooding acceptable, and set an appropriate water-control device at that level. Maintain water depths at least 5 to 6 feet deep to allow beavers to access their lodge and travel under the ice during the winter. Beavers will likely abandon sites where water level is lowered to the point that ice forms to the pond bottom. Perform at least annual maintenance on any device to ensure it is working properly and that it hasn't become plugged or buried by beavers. Consider using stone fords for stream crossings when a solid maintenance-free base is needed. Maintain beavers at an active flowage, or encourage beavers to colonize an unoccupied flowage, by regenerating aspen and other hardwoods in small patches or strips in and adjacent to flat, wide riparian corridors. Locate patches or strips up to 1 acre to maximize the amount of young forest growth within 100 feet of the water’s edge. Create additional openings as needed to maintain an adequate supply of preferred food for beavers. If beavers are removing food faster than it grows, work with a local trapper to remove two to four beavers from the flowage annually to reduce the number of animals the food supply supports, thereby extending the length of time beavers are able occupy the flowage. Where safety allows, leave dead standing trees within and adjacent to beaver flowages. With a little effort, we can enjoy the open water and diverse wildlife provided by beaver activity while protecting our forest, land and roads from damage. 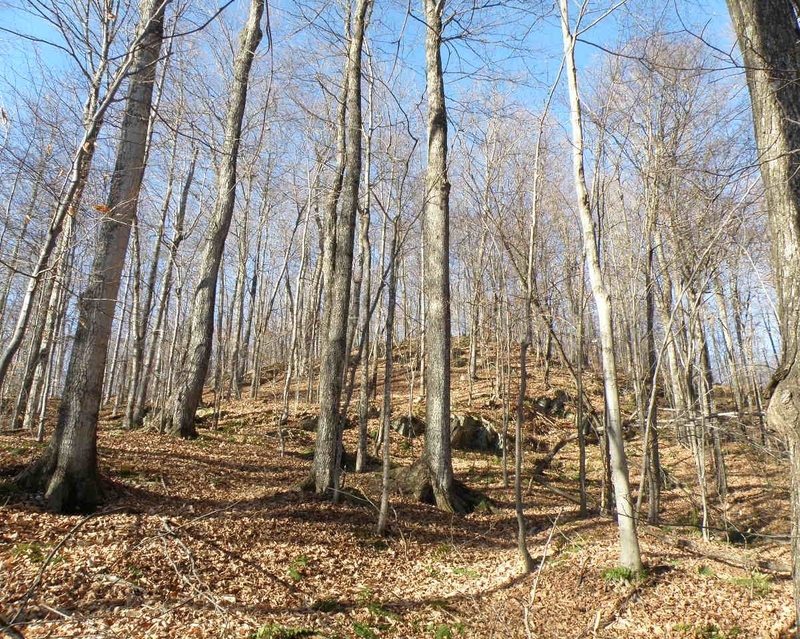 The author is a professional forester and timberland broker with Fountains Land who has served timberland owners and buyers in the northeast since 2005.